1 Who is Ali Velshi? Ali Velshi was born on 29 October 1969, in Nairobi, Kenya, and is a senior economic and business correspondent as well as a journalist, best known from working with NBC News as the co-anchor of the show “Velshi & Ruhle”. He previously worked with the news network CNN. How rich is Ali Velshi? As of mid-2018, sources estimate a net worth that is over $5 million, earned through a successful career in broadcast journalism. He’s also known to have worked with Al Jazeera America until it ceased operations. As he continues his career, it is expected that his wealth will also continue to increase. Although born in Nairobi, Ali’s family moved to Toronto, Ontario Canada. He was very familiar with politics growing up, as his father Murad Velshi would become the first Indian origin Canadian to be elected into the Legislative Assembly of Ontario; Ali is of Gujarati Indian and Ismaili Muslim descent. He attended Northern Secondary School, and was elected school president during his time there. After matriculating, he enrolled in Queen’s University located in Kingston, Ontario graduating with a degree in religious studies. During his time at Queen’s, he organized protests against Canada’s Reform Party and Preston Manning. In 1996, he was awarded a US Congress fellowship by the American Political Science Association, which led him to work with Indiana Democratic Representative Lee H. Hamilton. Ali later returned to Toronto, and began his professional career as a General Assignment Reporter for the television network CFTO, before becoming an anchor as well as a business reporter for CablePulse 24, also working with its sister station CityTV. In 1999, Velshi joined Business News Network or BNN, then named Report on Business Television which was Canada’s first all-business news channel, and hosted the show entitled “The Business News” which was the first business-focused prime time news program in the country. Two years later, he moved to the US to join the business channel CNNfn, on which he anchored several shows, including “Street Sweep”, “Your Money”, and “The Money Gang”, and served with the company until it closed down in 2004, but was then reassigned to the main station, where he maintained his work as a reporter and anchor. He initially worked on the early morning program “Daybreak”, before hosting the reality television show “The Turnaround”, travelling across the country to help small business owners connect with high profile mentors. After his run with the show, he then worked on a new program in 2005 entitled “The Situation Room”, before joining “American Morning” as a business correspondent. 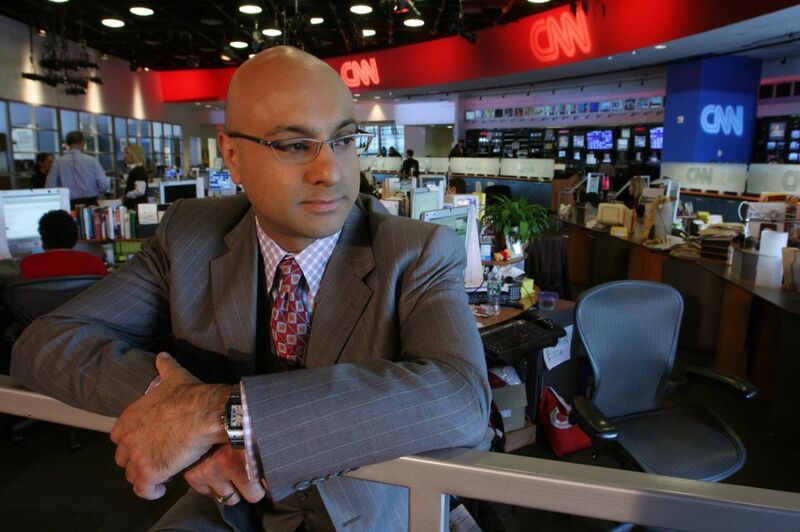 In 2008, Velshi went travelling again aboard the CNN Election Express, which he made numerous stops around the country to discuss money issues with the population. During the same year, he received more airtime as he became the reporter of numerous high profile events such as Hurricanes Gustav and Ike, and also reported on the now-destroyed Marriot Hotel in Islamabad, Pakistan, and the killing of Benazir Bhutto. Before he left CNN, Ali worked on “World Business Today” as a co-host, leaving the network in 2013 to join Al Jazeera America to host the prime-time program called “Real Money with Ali Velshi”, the first on-air personality to be hired for this new channel. The show was later re-launched as “Ali Velshi on Target”, and would run until Al Jazeera America shut down in 2016. A few months later, he joined MSNBC, becoming the Chief Business Correspondent for NBC News. In 2018, he became the co-anchor of the news program entitled “Velshi & Ruhle” with Stephanie Ruhle, as well as having his own afternoon news program entitled “Live with Ali Velshi”. Aside from reporting, he has written several books over the course of his career, including “Gimme My Money Back: Your Guide to Beating the Financial Crisis”, and “How to Speak Money: The Language & Knowledge You Need To Know”, which was co-authored by Christine Romans. For his personal life, it is known that Velshi was briefly married in his 20s, but it ended in divorce and little is known about that marriage. In 2009, he married Lori Wachs who a hedge fund manager and the president of the company Cross Ledge Investments; the two started a romance after she appeared as a guest on his show. During his free time, it is known that he does a lot of non-profit work. He is a member of the Council on Foreign Relations, the Paley Center for Media, the Economic Club of New York, and the Grand Challenges Advisory Committee of the National Academy of Engineering.